How Can Your Yard Benefit from a Fence? You can find residential fences in a variety of different places — from small, suburban yards, to large, rural properties, and everywhere in between. These fences come in a number of different materials, and offer a number of different benefits as well. Perhaps you might like to make use of a fence in your yard? Maybe you’re wondering just how a fence would benefit you? These are the benefits of installing a residential fence in Lincolnshire, Illinois. 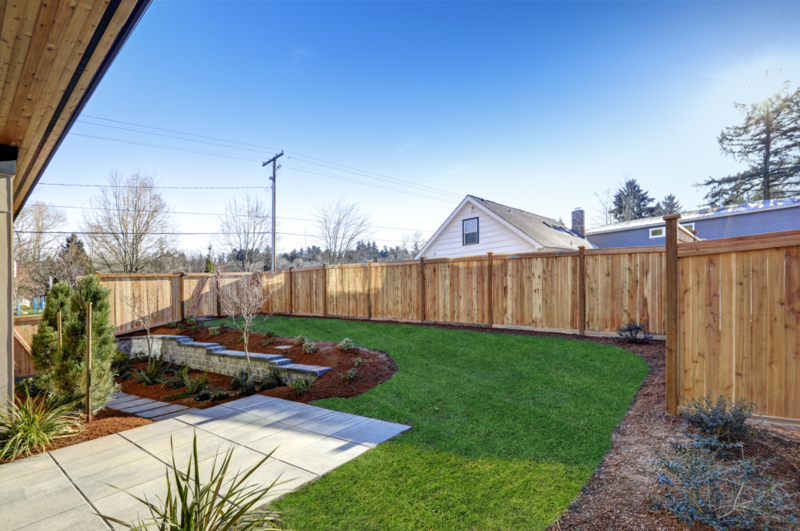 Often times, when homeowners install fences, it’s because they want to add something to the overall aesthetic of their properties. Depending on the type of fencing you install, a fence can absolutely transform the appearance of your yard. While chain link fencing isn’t exactly going to turn your yard into the crown jewel of the neighborhood, vinyl, wood, or wrought iron fencing just might. There are a variety of fencing styles and materials available for you to purchase, most of which will provide your yard with a fresh, elegant, and unique look. Do you want to keep strangers out of your yard? The best way to do so is with a fence. However, you should note that different types of fencing provide different levels of security. For instance, a short, chain link fence isn’t typically going to do much to deter potential intruders. Most individuals can climb over a standard chain link fence with a little bit of effort. A wood or composite fence, on the other hand, will typically be very difficult for a potential intruder to scale, providing superb levels of security. Do you prefer to keep to yourself as much as possible? Want to keep prying eyes away from your property? If so, a fence is a must. Installing a solid, opaque fence around the outside of your yard ensures that outsiders will not be able to see into your property. You can swim, sunbathe, barbecue, exercise, and do whatever else you want to do in complete peace and privacy. In most cases, wood or PVC fencing is best for privacy purposes. Fencing materials such as aluminum and chain link, on the other hand, typically possess gaps that can easily be seen through. Do you want to avoid boundary disputes with your neighbors? If so, it’s wise to establish a physical barrier such as a fence. By installing a fence between yours and your neighbor’s yards, you ensure that each of you keeps your own possessions on your property. If you don’t establish a physical barrier, your items or pets might end up in your neighbor’s yard. Kids and dogs have one particular thing in common: they like to roam. For this reason, it’s wise to do everything in your power to keep them reigned in. How can you ensure that your dogs and kids remain in your yard? By installing a fence. Chain link fences, PVC fences, wood fences, aluminum fences, and otherwise all do a great job of keeping your pets and children safely secured. Looking for Fence Installation in Lincolnshire, Illinois? Do you think your Lincolnshire yard could benefit from a fence? Are you looking for a fence installation in Lincolnshire? If so, Action Fence is the company to call. We offer a variety of different types of fence materials, all of which we can install for you in a timely and professional manner. Our team of seasoned installation specialists looks forward to serving you. Contact us today to discuss your fencing needs!